The Tasting Room features an assortment of award-winning, artisan wines and mixology cocktails in the only bonded tasting room in downtown Healdsburg, which is allowed to produce wine on site. We are unique. From the art on the wall, to the subtle nuances, we have a very fun, energetic upscale vibe that invites people to relax. 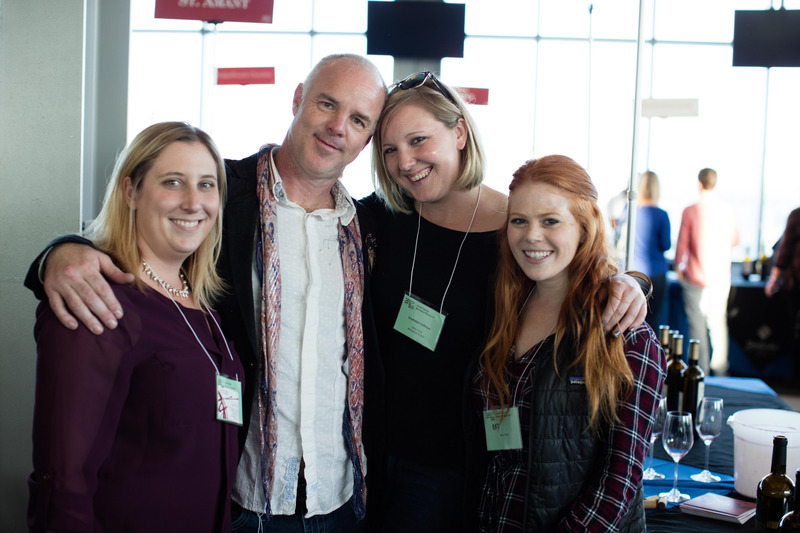 There are not many tasting rooms that offer the entertaining experience we do," said Hackett. The grand debut of Spicy Vines’ Tasting Room was a breathtaking affair -- befitting for a wine house that has earned a stellar reputation for its artisan wines. 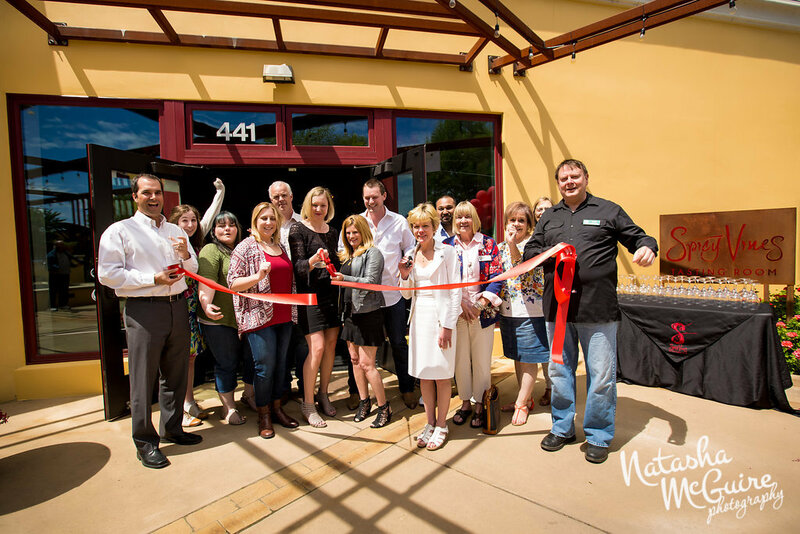 The calm yet vibrant Tasting Room officially opened April 20 and will now serve as the premium destination for wine connoisseurs who desire a hip and tranquil environment in the historic downtown of Healdsburg. 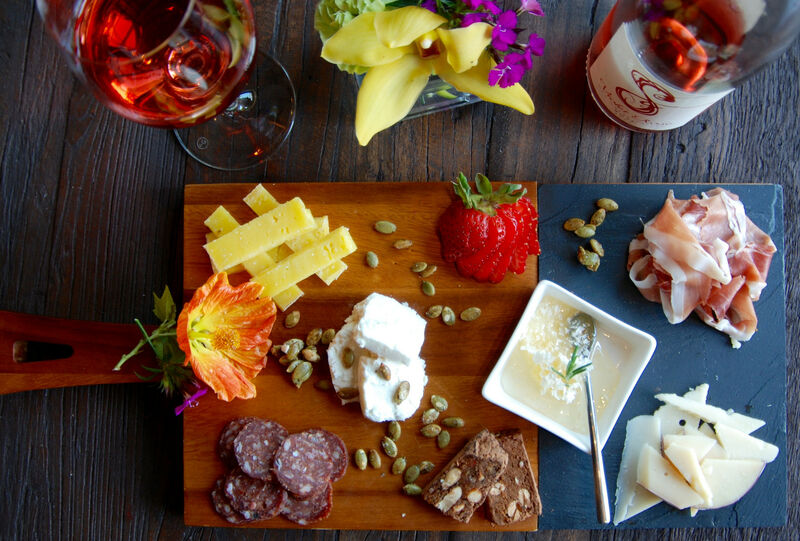 A visit to the Tasting Room is more than a special occasion, it’s an experience. 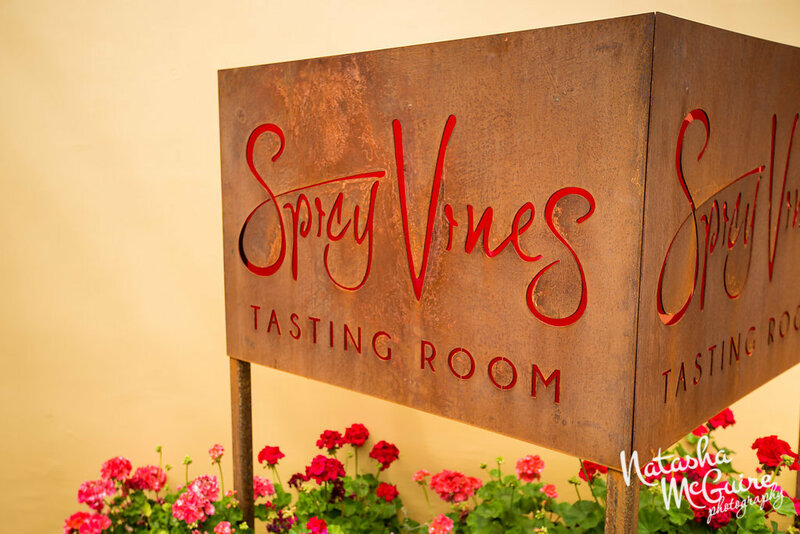 Spicy Vines focused on quality and variety when it designed the Tasting Room. Most wines offered in the Tasting Room are medal recipients or 90+ rated selections, proving Spicy Vines only offers the best quality to visitors. 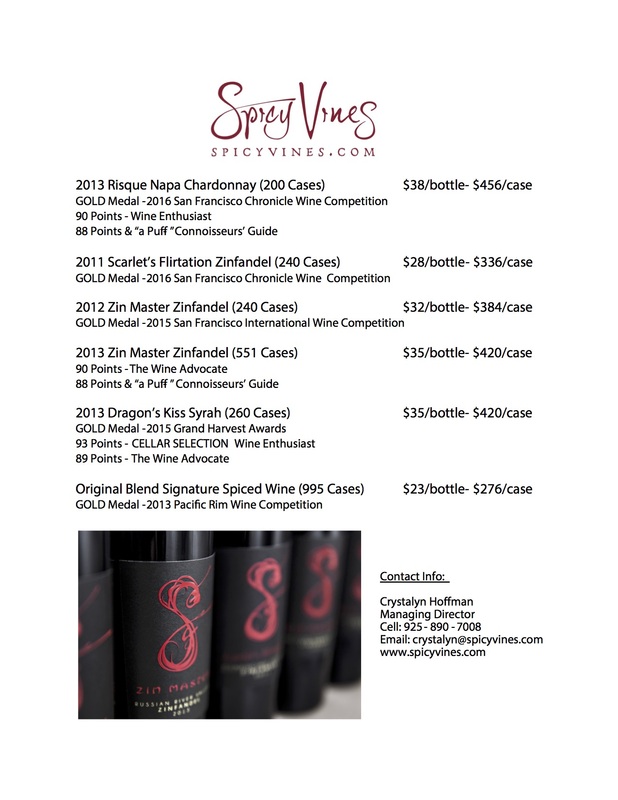 Among the highlights of some of Spicy Vines’ masterpiece wines that have been recognized, includes the 2013 Zin Master, which received 90 Points by Robert Parker-The Wine Advocate, and the 2013 Dragon’s Kiss Syrah, which received the 93 Points Cellar Selection from The Wine Enthusiast. Another favorite also offered in the Tasting Room is the Risqué Chardonnay, which received 90 points also from The Wine Enthusiast. 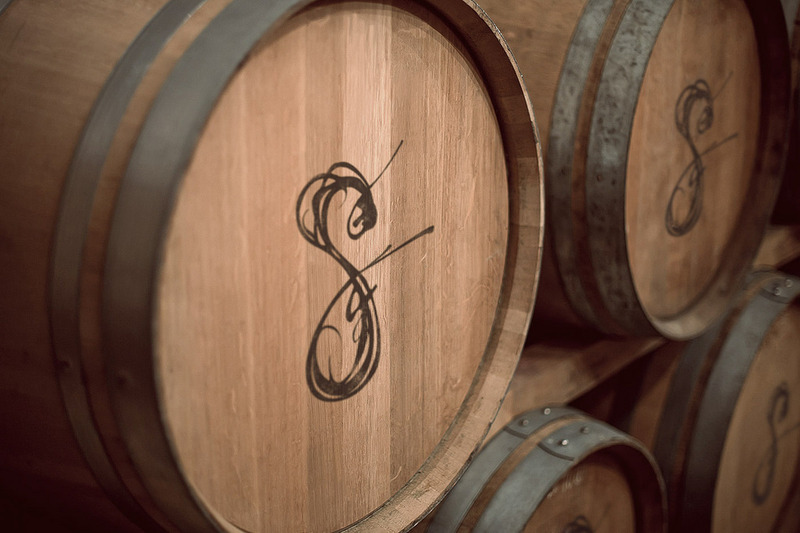 Spicy Vines’ signature collection is prepared and selected by seasoned wine-maker Doug Hackett, who has received over 100 medals and earned numerous 90+ point ratings. “We are unique. 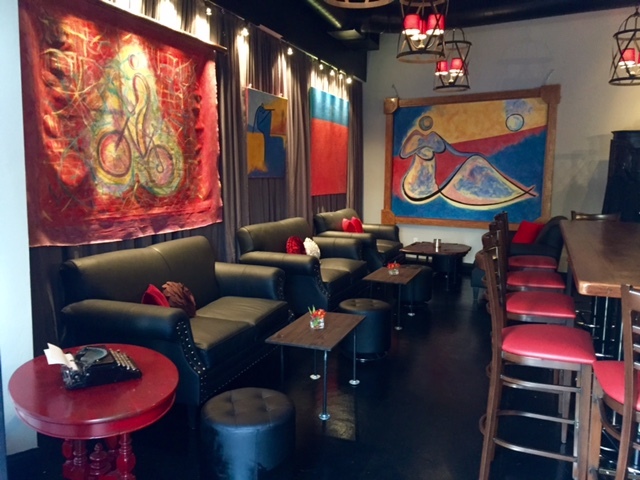 From the art on the wall, to the subtle nuances, we have a very fun, energetic upscale vibe that invites people to relax. There are not many tasting rooms that offer the entertaining experience we do," said Hackett. 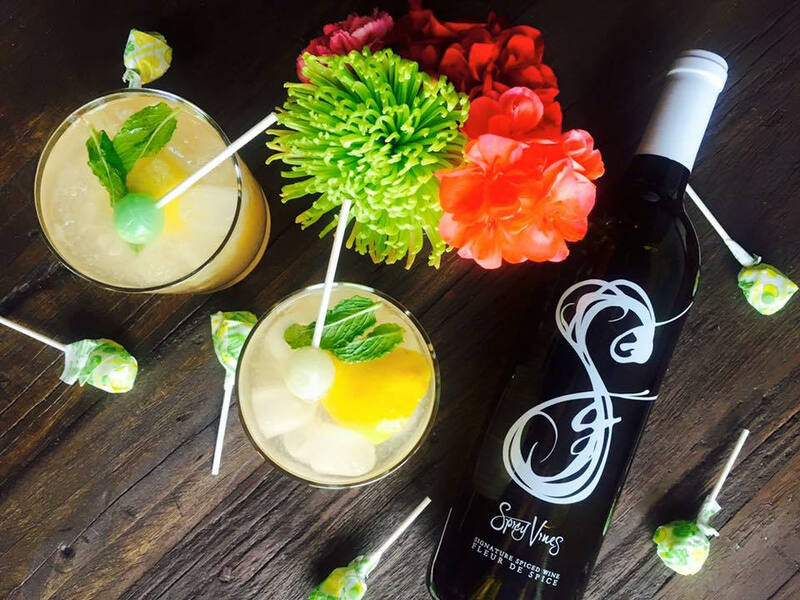 Spicy Vines is a company known for embracing a creative lifestyle, which is why the Tasting Room isn’t afraid to “mix it up.” The Tasting Room has a wide assortment of artisan wine cocktails, including the Mango Sunrise Mimosa, a popular choice that leaves many in awe. All wine cocktails are made daily with either the company’s flagship spiced wine, the Original Blend, a Zinfandel blend with five chai spices and a hint of brandy or their newest release Fleur de Spice, a Gewürztraminer base with orange blossom, rose pedals, green ginger, cardamon and cinnamon—both a testament to Spicy Vines’ flair for experimenting with different flavors since the launch of its flagship wine. Spicy Vines has rounded out the experience with a medley of small bites and live music. Every appetizer and small plate includes ingredients that are sourced locally. 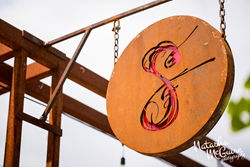 Also, the “Saturday Jive @ Spicy Vines” includes live music every Saturday night. 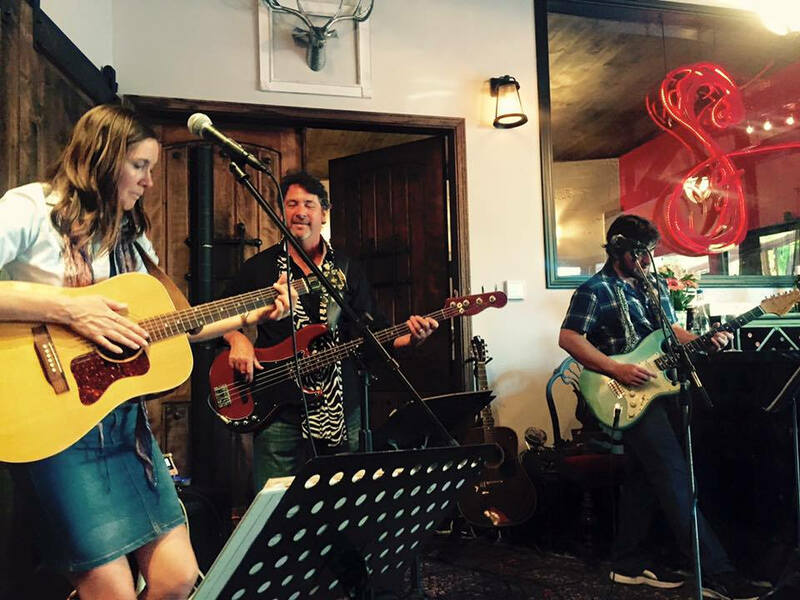 “Saturday Jive” will host acoustical musicians in the tasting room from 6:00 pm to 9:00 pm. Spicy Vines has a very unique private Barrel Room located in the back of the tasting room. 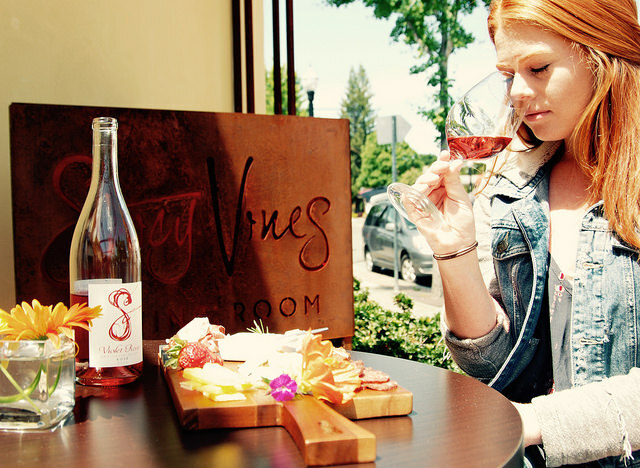 The room will host private blending sessions such as “Sunday Fun Day Blending Session” with Winemaker, Doug Hackett, where visitors can create their own private blend using Spicy Vines' barreled wine and take the bottle home. Spicy Vines has created the next generation tasting room—a destination with good vibes so visitors want to return. 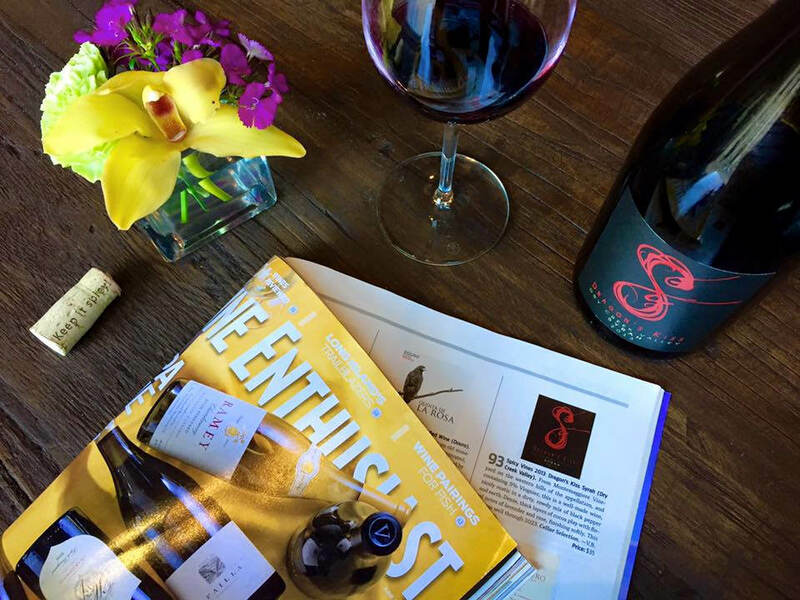 What’s more, the Tasting Room’s hours are open later on weekends than most other tasting rooms in Healdsburg. Its hours are 11:00 a.m. to 6:00 p.m. Sunday through Wednesday, 11:00 a.m. to 7:00 p.m. on Thursday, and 11:00 a.m. to 9:00 p.m. Friday and Saturday. 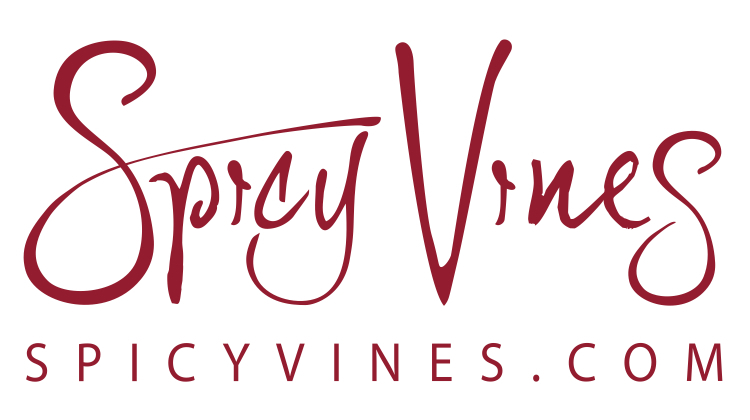 Visit Spicy Vines at http://www.spicyvines.com and get connected on Facebook, Instagram and Twitter. 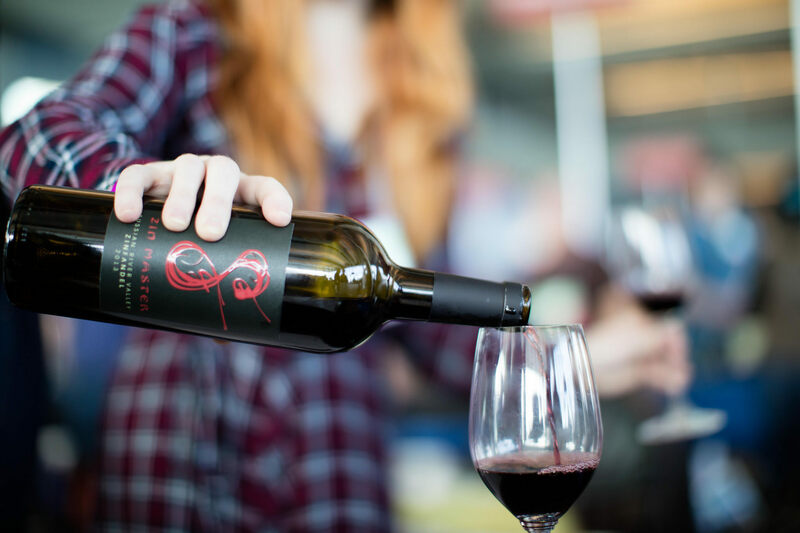 Rooted in the spirit of tradition, Spicy Vines combines old styles with innovative California winemaking to craft artisan wines made with heart, soul and a hint of spice. 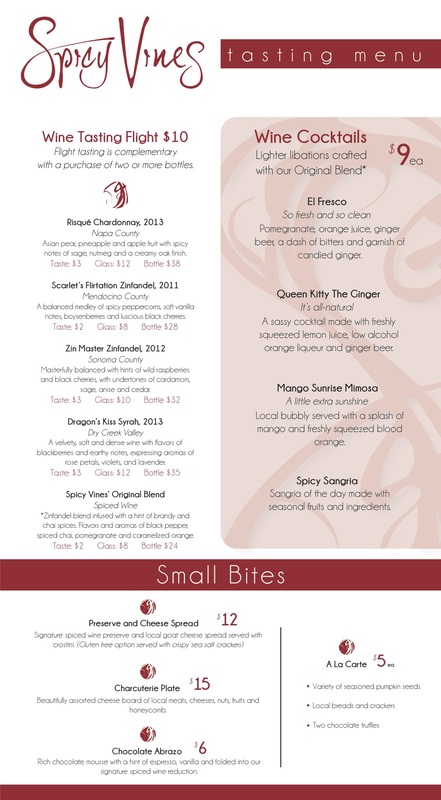 An added bonus for wine lovers is Spicy Vines membership "Club Spice" which offers many benefits to the membership.